This attractive dining chair has a classic feel with slim lines and interesting texture. 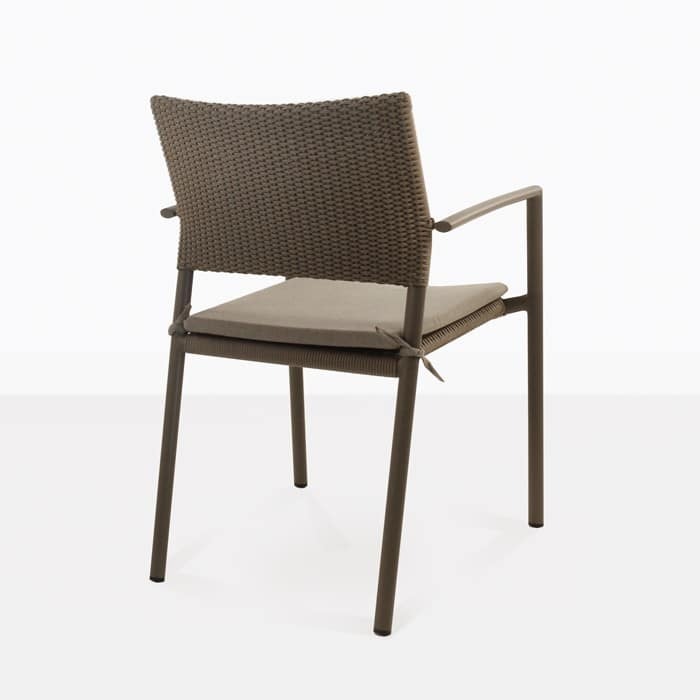 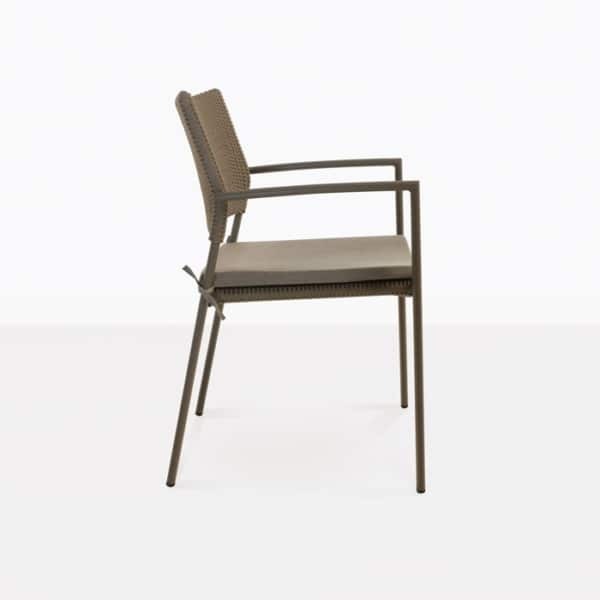 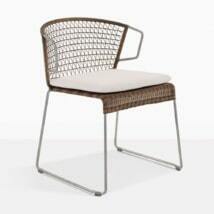 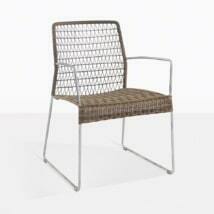 The Jolie Woven Dining Chair is very comfortable and a great choice for outdoor dining. 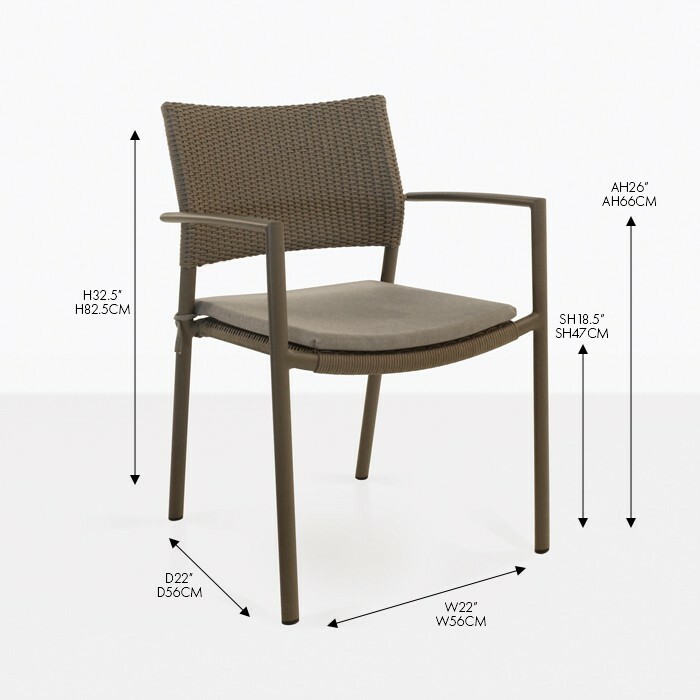 It is made a with powder-coated aluminum frame and outdoor rope. We topped it with a Sunbrella® cushion for that extra comfort you need when enjoying a long dining experience. 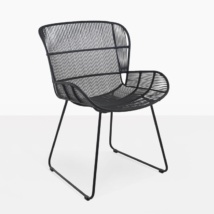 The back and seat structure of the chair are beautifully woven with outdoor rope. 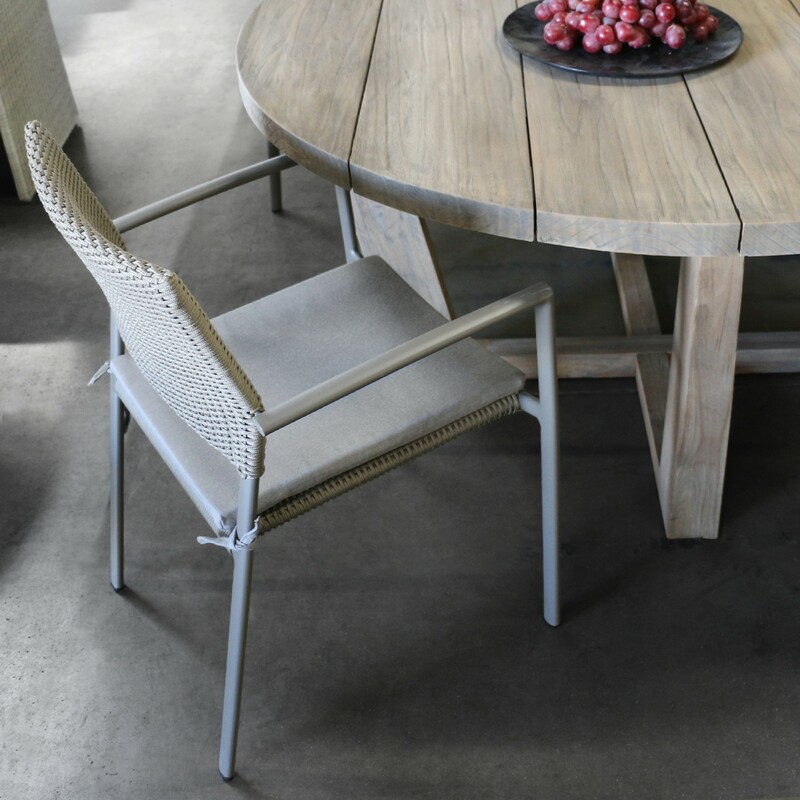 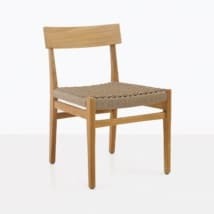 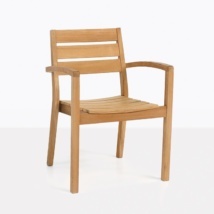 This chair is definitely a fresh and contemporary design that will go lovely with many of our outdoor dining tables including a-grade teak and concrete. 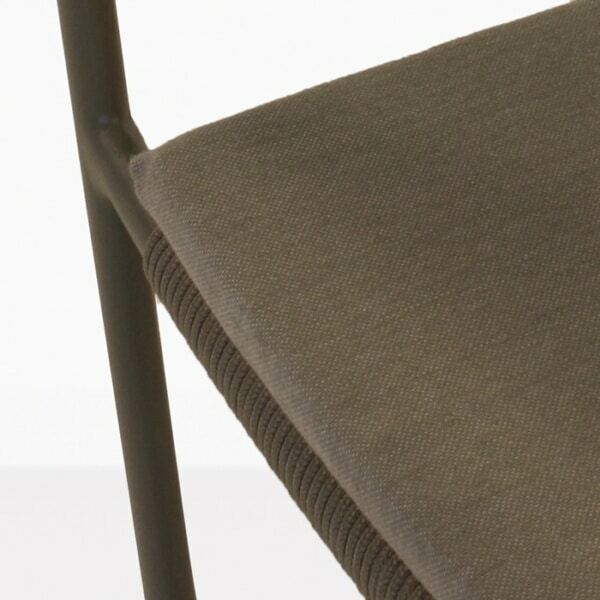 W22" x D22" x H32.5"